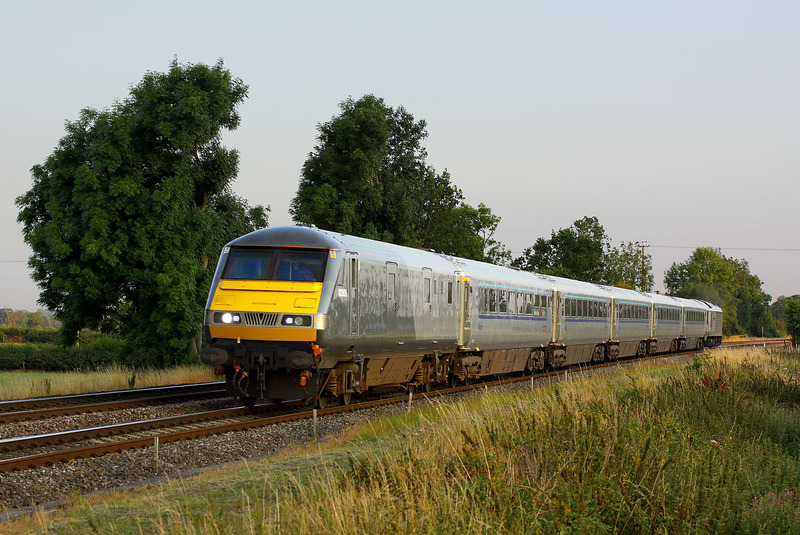 Early August 2011 saw Chiltern Railways rebrand the former Wrexham & Shropshire Railway Mk 3 coaches 'Chiltern Mainline'. The difference is subtle, as can be seen here as 82305 leads the 1R55 18:30 Marylebone to Birmingham Moor Street service past Great Bourton on 3 August. The ubiquitous 67014 Thomas Telford is doing the pushing at the back. Both the DVT and the locomotive are still devoid of any branding.